As 2017 draws to a close, it’s time to look ahead to meetings with colleagues and clients in the new year. 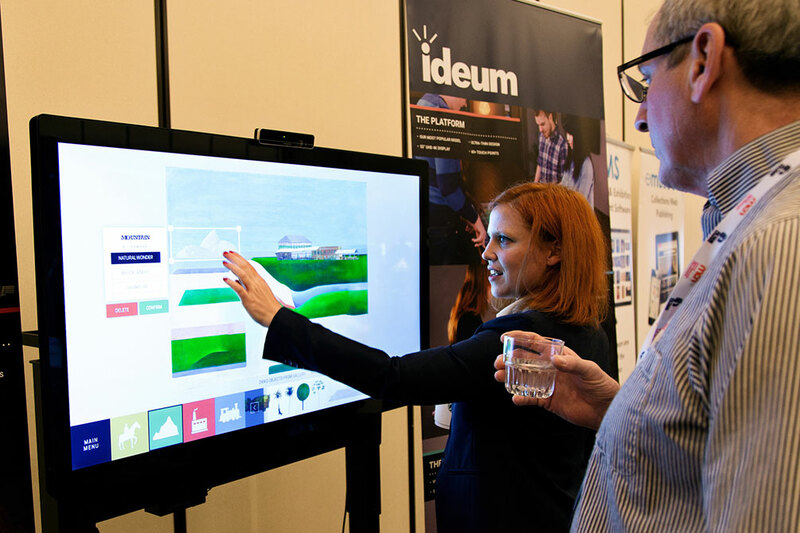 Ideum has a busy schedule of conference appearances in 2018. 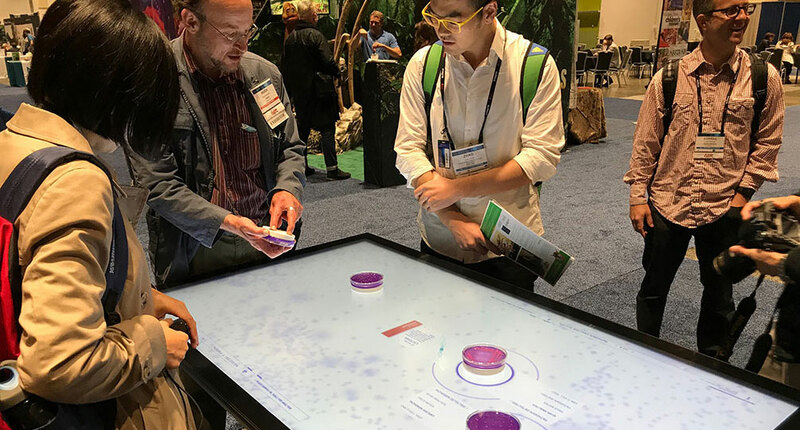 At each of these events, we’ll be sharing our newest digital experiences with partners of all kinds and demonstrating the innovative and durable multitouch tables and AV exhibits we’ve become known for. In April, we’ll be in Vancouver, BC, for the Museums and the Web (MW) conference. MW brings together a wide range of designers, developers, curators, and educators working to build and study digital experiences for museums and other learning spaces. Ideum is proud to be a Sponsor of this event as well. 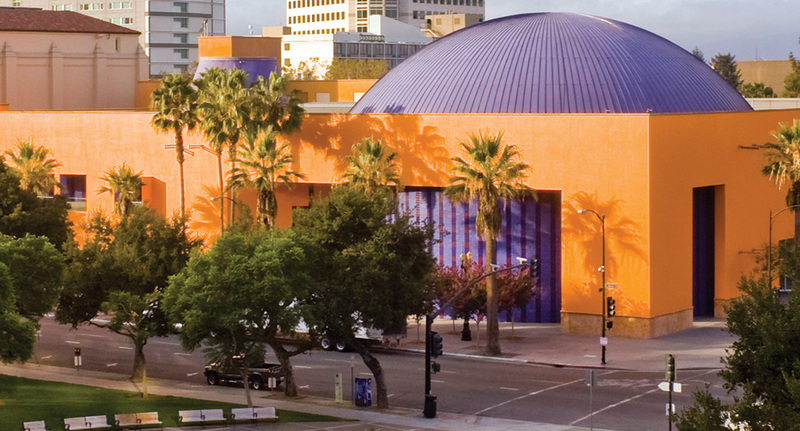 In May, we’ll journey to Phoenix for the annual meeting of the American Alliance of Museums (AAM). Come see us in booth #1947. 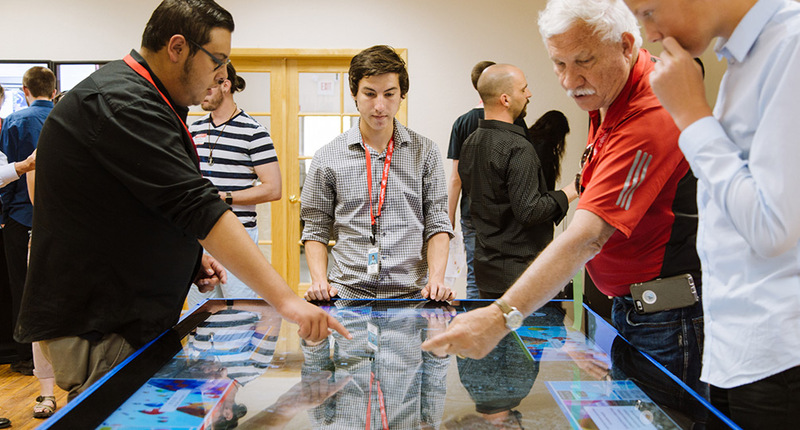 We will have two multitouch tables and a APEX 1.2mm video tile wall from our partner Christie Digital. AAM is the world’s largest annual museum event and it provides opportunities for discussing the latest research on informal learning and best practices in exhibit development. Next is New Orleans in June for the American Library Association (ALA) conference. Visiting this storied city will give us a chance to show the new multitouch interactive about the French Quarter we are developing with The Historic New Orleans Collection. Libraries are a key component in the network of formal and informal educational resources and are deeply invested in the development of the next generation of digital learning experiences. As summer turns to fall, we’ll head once again to the Association of Science-Technology Centers (ASTC) conference in September in Hartford, CT. With over 600 member institutions, ASTC is the world’s largest organization of science museums, aquariums, zoos, and planetariums. Last year’s conference was a great success, and we look forward to greeting friends old and new at the Connecticut Science Center in 2018. Finally, we’ll round out the year with a November visit to the Museum Computer Network (MCN) conference in Denver. A nonprofit organization dedicated to exploring new frontiers in digital exhibition and curation, MCN is celebrating its 50th anniversary this year. Each of these premiere events presents opportunities for learning more about designing transformative digital experiences. 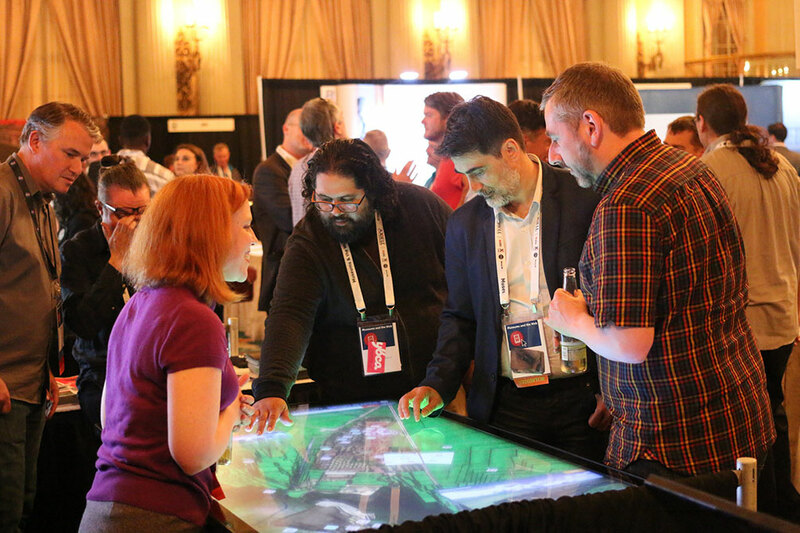 If you are considering attending one or more of these conferences, we’d love to see you in the exhibit hall to explore the exhibits we design and build with clients all over the world and to learn more about how we combine technology, design, and creativity. Please feel free to contact us for more information . The Landscapes Carry Meaning exhibit at MCN. 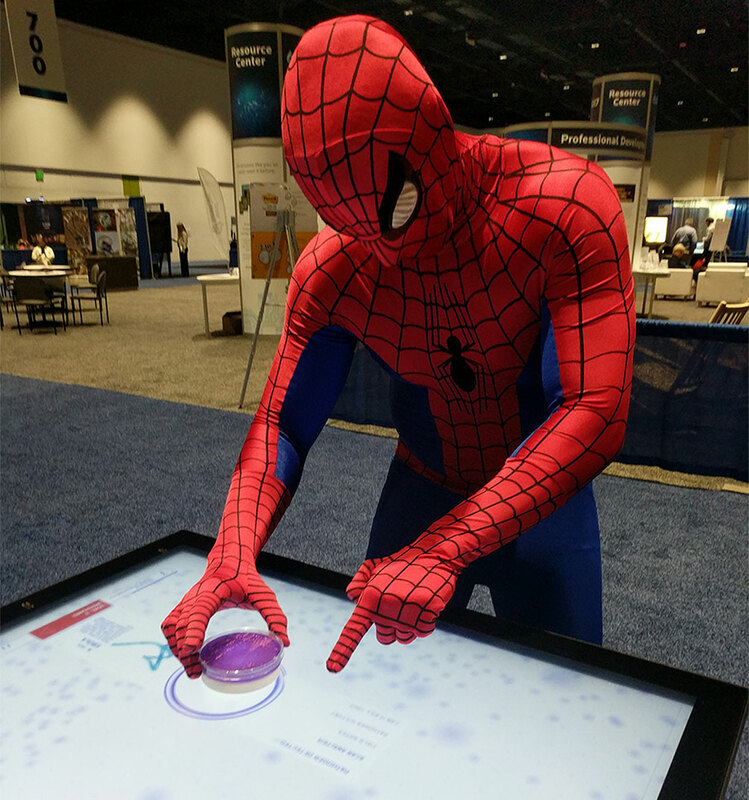 At ASTC, a surprising superhero visit. Visitors explore the The Cusco Experience at MW.